Executive Room, 2 queen-size beds, sofa bed, 49" HDTV, Nespresso, safe, fridge, bathrobe. Good hotel...I would stay there again. 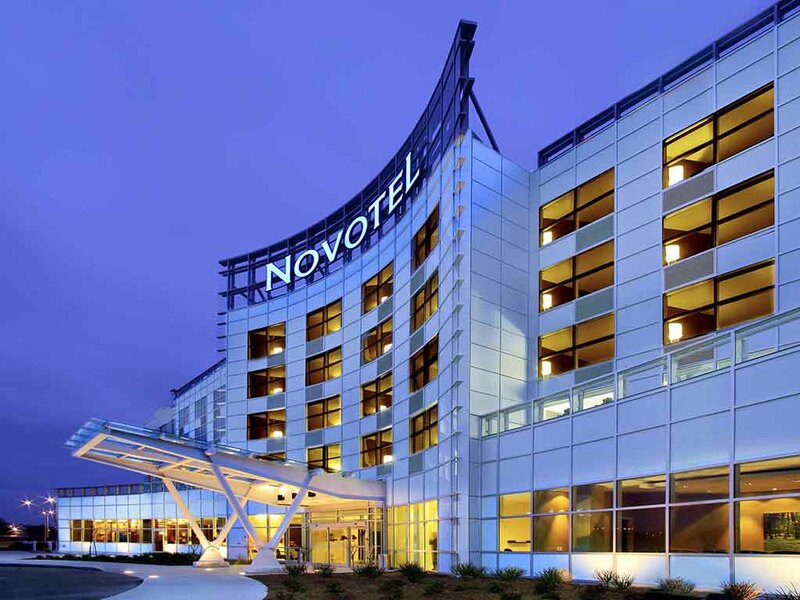 Hotel location is ok...close to the airport but you will need a car to go to downtown. The hotel is really good...good service and excelent rooms..I would definitely recommend it. As I travelled with my car I had no problems exporing the city ..so it fits me well. Convenient to workplace. Nice restaurant great food and friendly people. On a business trip to Mtl, hotel was comfortable, clean and staff are very polite. Customer service at the front desk was fine, in the restaurant on Monday night it was horrible and in the bar was ok. Food in the restaurant was awful and we had catered lunch Wednesday and Thursday and it was exactly the same both days, boring and all bread, no filling. Ice machine on the top floor was not working. Overall experience was barely passable. Would I recommend this hotel? No. Service was great, room was not so good. The service was good, and on first glance the room seemed cleaned. The next day after check-in I noticed the footstool in the room had multiple large white fluid stains on it. Mentioned it at the front desk and nothing was done about it. I was at the hotel for a training session that was also taking place at the hotel. The staff monitoring the meeting rooms were excellent. The room was spectacular. Short and satisfying, great bed , quiet! Very clean nice room. Great reception. Dining was a little disappointing b/c not staffed right for the size of the crowd. Ate dinner in the bar area and one person managing everything. She was great under the circumstance. Excellent hotel. Really nice restaurant for breakfast and dinner. Comfortable room with meeting all necessary expectations . Very easy decision to return in future. My stay was good. The only complaints I would have are the rooms are dated (worn out, paint is peeling, carpets are worn, etc...). The WiFi was non existent on the 3rd floor and should be address for those of us that are on business. And lastly the shuttle service was poor, when I arrived I waited almost 2 hours for the shuttle, and when leaving we waited over a hour. The cut back to a single shuttle between two hotels was not a good decision when things are busy. Rooms clean and comfortable Restaurant food very good, beer was even better. Rooms and restaurant were nice. An ATM in the lobby would be helpful. Good Hotel for Price and Location. I will likely stay here again when I am back in August.